The build of a new RAUH-Welt Begriff Porsche makes for some of the best video around, especially in 4K. But this video is a bit different than your typical build documentary—you don’t get to watch just one RWB Porsche. You get to see a bunch of them. It’s lovely. 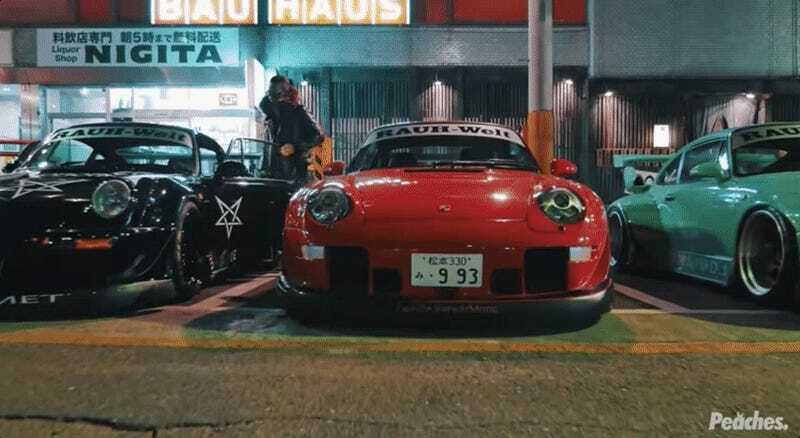 If you’re not familiar with RAUH-Welt Begriff, the Japanese tuning company does some of the most recognized and impressive Porsche 911 builds around. The builds are often documented in 4K video, making for nearly half an hour of pure internet beauty. These RWB creations recently got together in Tokyo for this film, and it all feels somewhat like a trippy, overwhelmingly beautiful music video that ditched the people for the automotive. But hey, that’s never a bad idea when it’s done correctly. Enjoy it—perhaps more than once.